Are the high street banks adapting fast enough? Five high street banks dominate the growth finance market, but they are having to adapt in the face of challengers. A British Business Bank report this year found that major bank lending to small businesses hit £57.7 billion in 2018. Compare that to P2P business loans, which only just hit £2 billion in annual volume last year. With all the talk of alternative finance, challenger banks and fintechs, it’s easy to forget where the bulk of small business finance comes from. 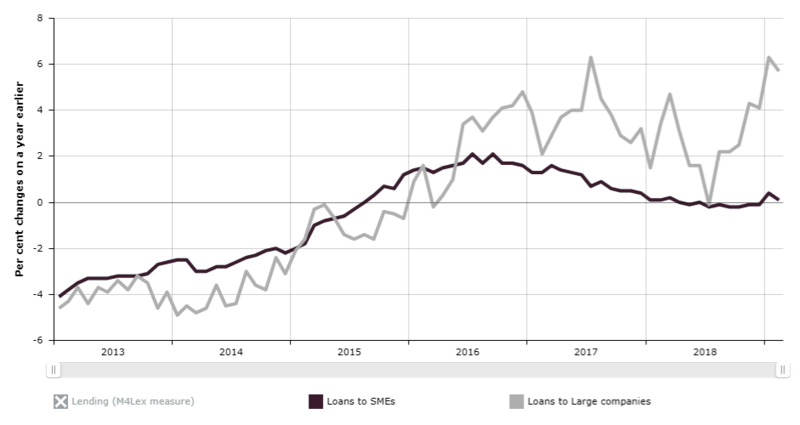 High street banks – the group consisting of Lloyds, HSBC, RBS, Barclays and Santander – still account for the bulk of lending to small- and medium-sized businesses. Despite their strong market presence, however, they cannot take their eye off the ball. In response to a government directive, plus a flurry of new competitors, the big banks are having to refine their offering. At the inaugural Growth Finance Awards this year, we will celebrate the companies that provide more than finance by actually helping small businesses to flourish. Even though they are facing some challenges, the high street banks mentioned in this article do just that. The UK’s competition regulator reported in 2016 that retail banking was not competitive enough, and took a series of steps to change it. One of those was the Open Banking initiative, which enables customers to share their data with third parties so that competitors can offer them alternatives. This is expected to encourage customers to switch banks more often, and to make it easier for them to do so, meaning that banks have to work harder to keep them. Another force shaking up the market is the presence of challenger banks and fintech companies, the high-growth competitors who are rapidly carving out a space for themselves in small business lending. How are high street banks responding? The high street banks are taking steps to boost their offering to small businesses. Last year, Barclays was the first high street bank to partner with invoice financing platform MarketInvoice, taking a minority stake in the firm to offer financing to its own small business customers. It has also launched funds for groups like UK housebuilders and to support the government’s Northern Powerhouse initiative. HSBC, meanwhile, boosted its SME fund to £12 billion last year – double the size of the first fund that launched in 2014. The first bank to connect with a third party under the Open Banking initiative was Lloyds. RBS has launched a standalone digital bank for SME customers, called Mettle. The bank is also distributing funds under the Alternative Remedies Package, with £280 million going to Metro Bank, Starling Bank and Clear Bank earlier this year. And Santander is also launching a digital bank that will target UK small- and medium-sized firms, although it hasn’t shared details yet. The EY report argues that banks still need to do more to hold on to their market share. However, it adds that the high street banks are starting from a position of strength. If you’re an entrepreneur or small business considering finance for your business then head to the Finance Hub to see your options, powered by the British Business Bank.